With new releases from Chevy and Dodge Ram, 2019 is shaping up to be a big pickup truck year as both manufactures aim to unseat the Ford F-150—America’s best-selling truck for 36 years. 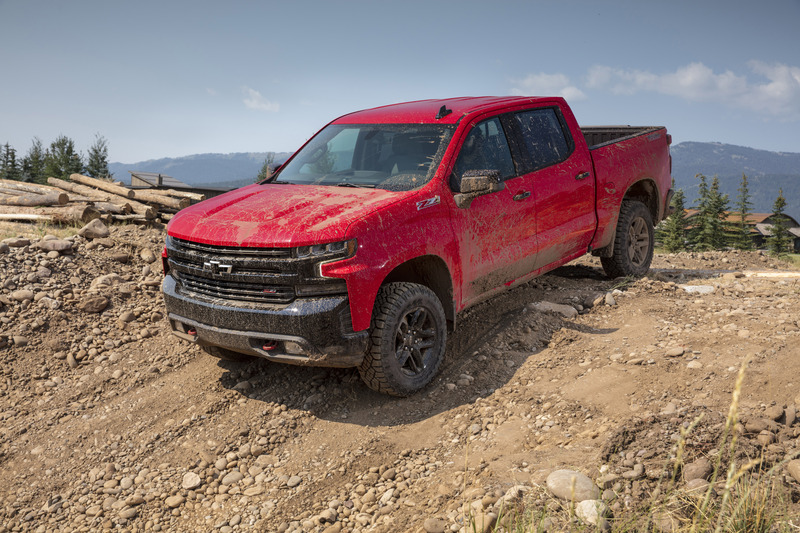 We spent some time with Chevy’s new, stylish Silverado 1500 LT Trail Boss Z71 to see how it handles getting work done, along with helping maximize your weekend. The Chevy’s front end has aggressive styling with obvious touches like a pair of red recovery hooks and others that are less so, like aerodynamic fender vents. The Trail Boss trim replaces large swaths of chrome for a black plastic grill so the squat and wide LED headlamps and badging pop out. Loading into the Trail Boss, this is a full-size pickup in every way. We love the driver-side pull handle, wide and comfortable front seats, and massive folding center console with enough storage for daily tech needs—it’s also serviceable as an impromptu table for road eats. Heading out of Chelsea towards Long Island we weave in and out of traffic without any issue—with its crew cab and standard bed, this truck isn’t small, but it’s manageable. When traffic opens up, we do the same: Chevy offers the Silverado in several engine configurations, including 5.3-liter and 6.2-liter V-8s, a 4.3-liter V-6, and a 2.7-liter turbo-4 and 3.0-liter Duramax I6 diesel. Our Trail Boss tester’s 5.3-liter V-8 cranks out 355 horsepower and 383 lb.-ft of torque. It comes with what Chevy calls Dynamic Fuel Management (DFM), which shuts down the engine’s cylinders (in up to 17 different configurations) when you don’t need the extra power, increasing fuel economy to 15 city and 20 highway. On the road, when the DFM kicks in, you can’t really tell—there’s no lack of power from the V-4 you’re left with or feedback in the cabin—and the standard eight-speed automatic is smooth. The engineers, with some smart use of aluminum, trimmed about 450 pounds off last year’s build, so from the steering wheel, the Trail Boss feels responsive and, not surprisingly, the sport driving mode offers the best throttle response. The handling and size, along with a cabin that’s insulated from a lot of road noise, give it a large SUV-like vibe. While the entry-level Silverado comes in eight trims, starting with a work truck at around $29,795, our LT Trail Boss crew cab tester begins at $48,300 and tops out at $56,790 when fully loaded, which is more than a Ford F-150 Raptor. We loaded three mountain bikes into the bed, then hit the trails. Our standard bed’s 79.5-inch length is plenty for your weekend gear or sheets of drywall. The best-in-class cargo volume gets a boost in width, with 7 inches more room (without actually widening the truck) and 1.5 inches more depth than the 2018 Silverado. What really ups the daily utility is the number of tie downs (12), with three in each corner each rated at 500 pounds—that’s plenty to strap down bikes, an ATV, a kayak, a cooler, or a whole tailgate’s worth of gear, though we think the in-bed storage built into the sides of the truck would be a nice option to keep the cabin clear. While the tailgate isn’t as impressive as the transforming, six position version on the 2019 GMC Sierra, it has a power option—and we’d trade that for more practical utility, like the molded step built into the rear bumper. A power tailgate, unlike the trunk of a car, isn’t something you’re often struggling to open with two full hands—you’re not exactly putting groceries into the bed of a truck with two hands. Taking the Trail Boss over grass and gravel lots (and the occasional low dividing median when no one else was on the road), we get the sense the build was ready for more aggressive off-roading. The Trail Boss in the Z71 package comes with Rancho monotube shocks, a two-speed transfer case, locking rear differential, hill descent control, skid plates, a 2-inch lift, 18-inch Goodyear Duratrac tires, along with the trailering tech and some upgraded interior features. Is there any more routine errand than picking up pizza? Well, in true pickup truck fashion, we retrieved a half dozen pies for a birthday party—and took along three adult men all over six feet on the run. The wheelbase on this 2019 build is 4-inches wider, with most of that space going into the cab, so even those in the backseat won’t be sacrificing any room. You can step up to a $1,655 Convenience Package and get a 10-way power-adjustable, heated front bucket seats with lumbar control, a heated and telescoping steering wheel and USB ports, or max it out with an HD rear camera, power sliding rear window, and Bose speakers. All these details help the truck feel like a capable family hauler. The 8-inch wide infotainment touchscreen is new and more intuitive, so you’re not digging too deep into menus to execute basic functions. The Trail Boss feels like a capable off-roader, even if the biggest challenge most will face is summiting a parking block. 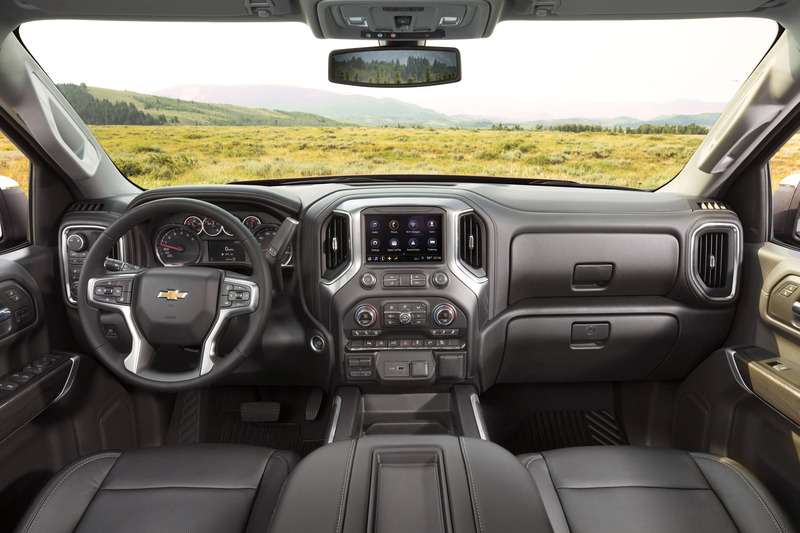 While this package might price the Silverado out for some buyers, there are quite a few configurations that’ll let you dial in the features most important to you, be it interior comfort as a family hauler, or closer to a rough and tumble work truck.